Much of what we release for Modus VR is focused on improving your client's customer experience. We know how vital their experience is to the success of your business. 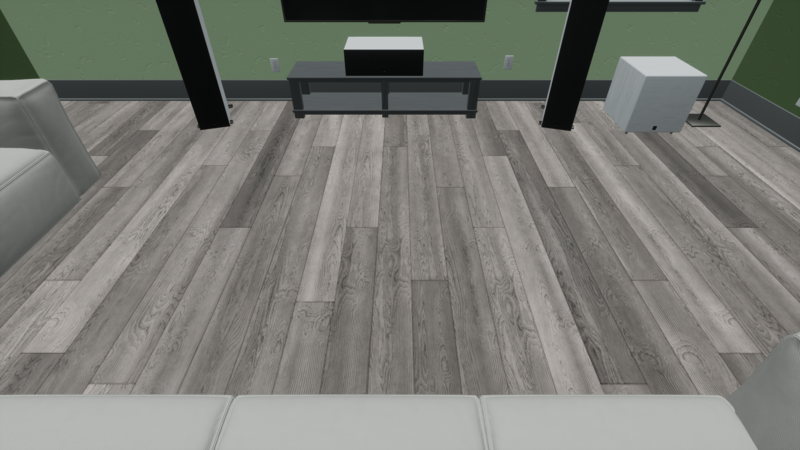 With the introduction of materials and improved color selection you will be able to dramatically increase the aesthetic of spaces you create in Modus VR. With some added materials you can greatly enhance your client's experience. 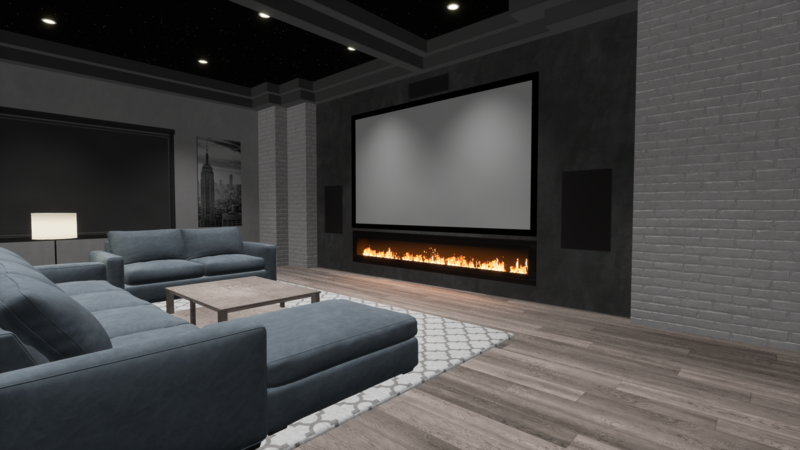 Here's a before and after using a few of our new materials including the fiber optic ceiling, one of our wood selections, microfiber for the couch, a carpet pattern, polished concrete walls and painted brick. 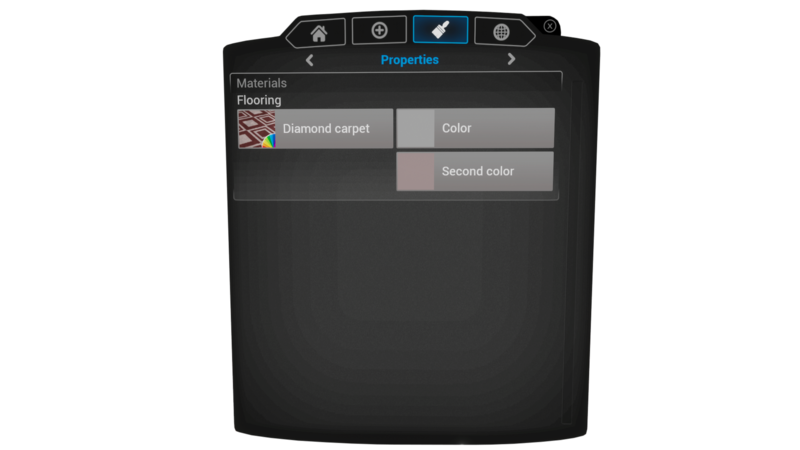 The workflow of materials and changing colors is slightly different, but is now streamlined across all objects. Even art and movie posters have been modified to fit in to this new workflow. Keep reading to find out all that's new. 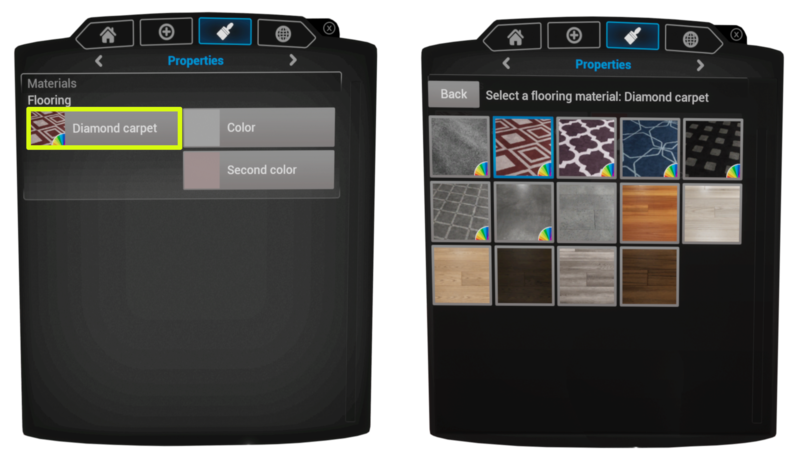 New: Materials and Color Selection Workflow - Here's an example of what the properties tab might look like when an object is selected (in this case the floor) that supports material and color change. Simply put, there are two parts to this new workflow. Selecting materials and changing colors. On the left is the materials button. When pressed, you'll notice that objects vary in how many materials they support. Some will support many, some just a few, and some won't support any additional materials in which case the button will be grayed out. It's as easy as selecting a material thumbnail to apply it to your object. You'll also notice some materials have a color wheel in the bottom right of the thumbnail. The color wheel indicates that one or more colors of that material can be changed. In the example below, the Red Diamond Carpet has a primary and secondary color that can be changed. 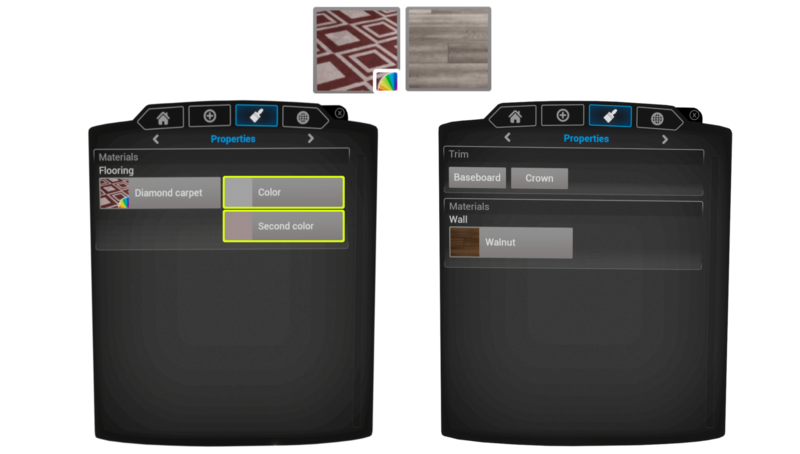 Materials without a color wheel (like Walnut below) will have no option to change color. When you select a color to change you'll have the option to choose a unique color, switch to the swatch tab, or choose the default color for that material. When you switch to the swatch tab, Modus automatically assigns the first swatch to the selected object. You can mix and match unique colors and swatches in a way that fits your workflow best. In the example below the first color is using the first swatch (indicated by the 1) and the second a unique color. Swatches are saved on the space file. 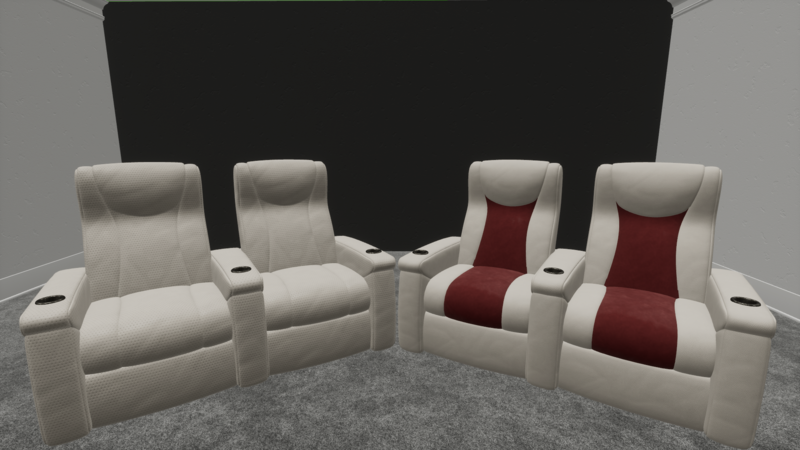 You won't be able to change color of different materials (i.e drywall and leather on seats) at the same time anymore. Instead, use swatches to assign the same color to different materials. Trim color can now be changed on a per object basis. For example, all four walls can have different trim colors if your client so desires. 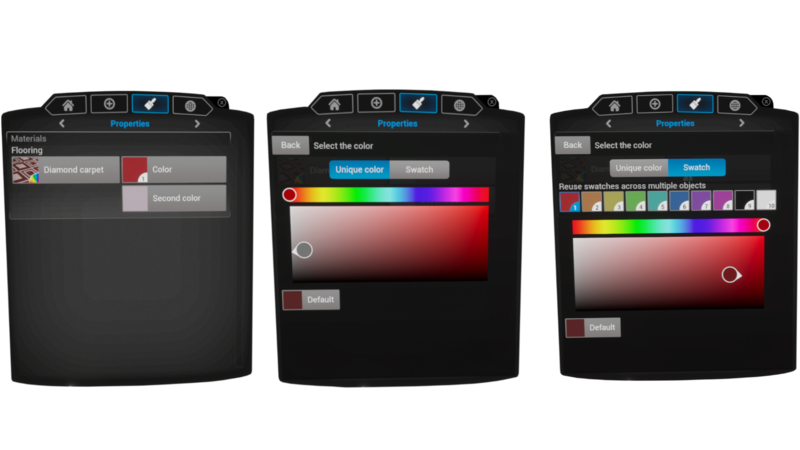 :) You can also change the trim color of an object and select the apply to all trim button. When changing materials on a selected object, Modus does its best to keep things the same color. For example, if you were to choose blue and white for the Rhombus carpet material (shown below) and then switch to the Square pattern carpet, the same colors will be applied. This is helpful when you've established the color you want and want to see different materials with those colors. Seats support multiple types of leather, microfiber, and some seats even support two tone options. If a seat supports two tone, it can be toggled on in the properties tab of the menu. 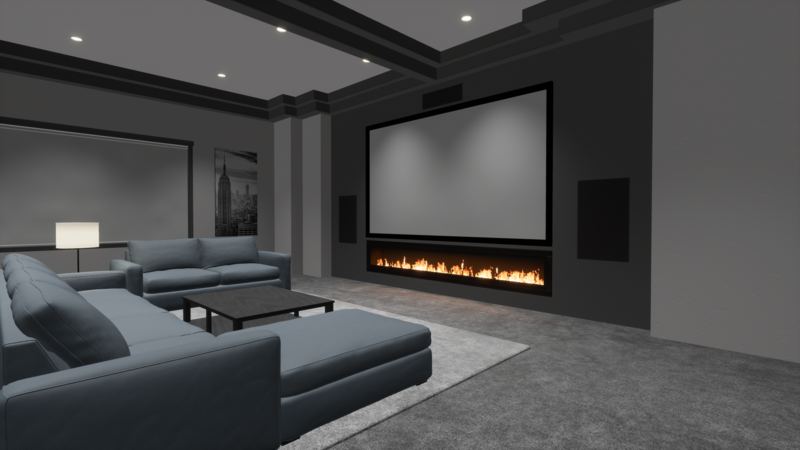 Concrete walls, fiber optic ceilings, wood flooring and more. 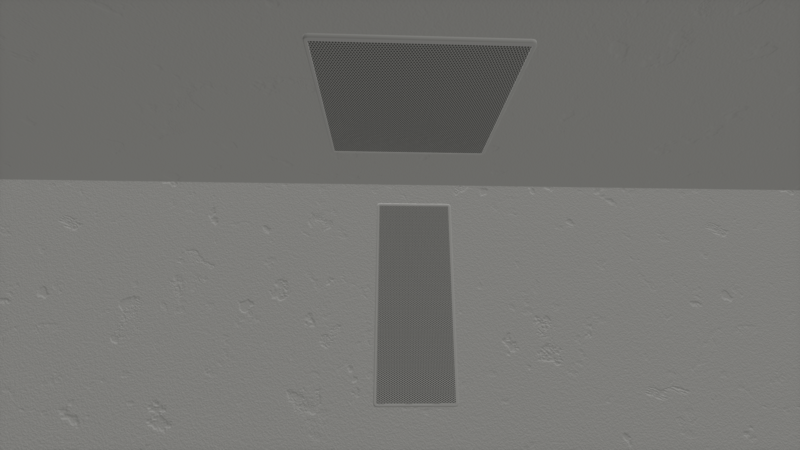 Some other wall, ceiling, and floor like objects also support materials. For example, partial wall, coffer, soffit, step, etc... support materials as well. 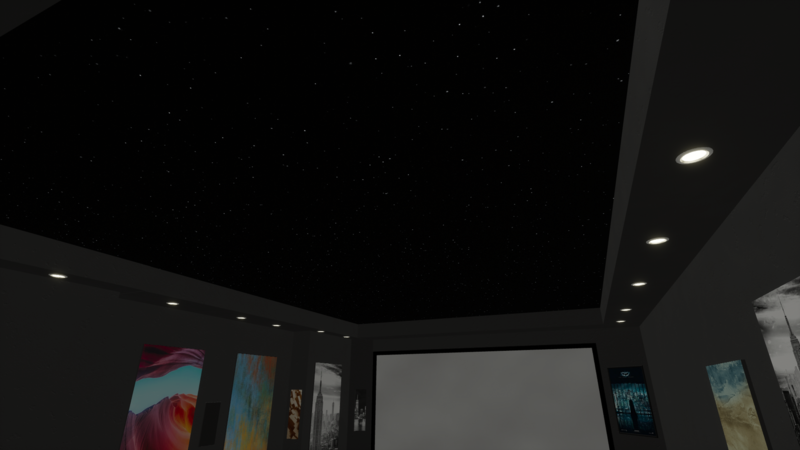 Remember that all objects have been modified to fit into the new materials and color selection workflow including objects like the bar, art, and movie posters. Check out your favorite objects to see what's changed. 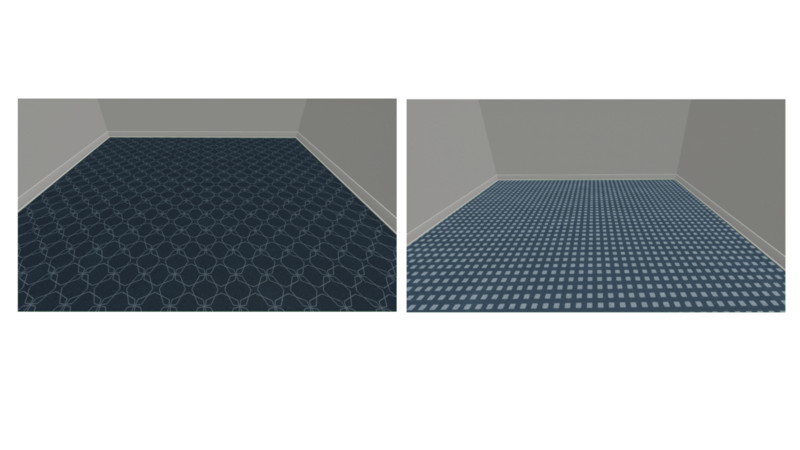 New: The carpet block has been renamed to flooring block. New: The fabric wall has been removed since the wall block or partial wall can now accomplish the same thing. 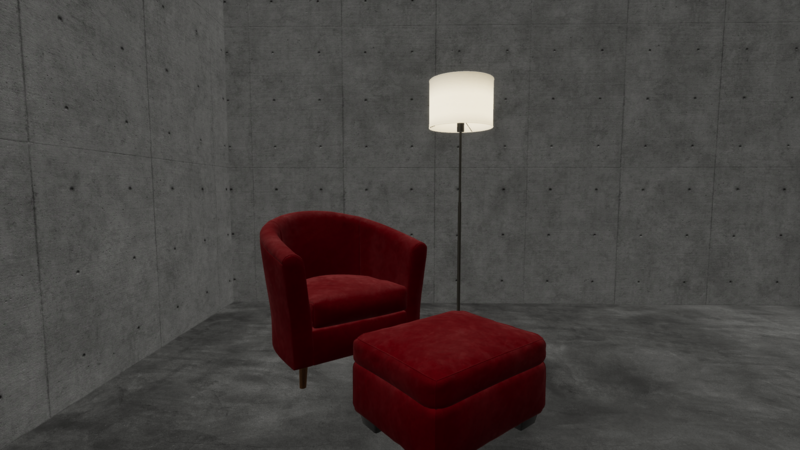 Changing a room's height no longer results in objects being lost or put in the wrong place.